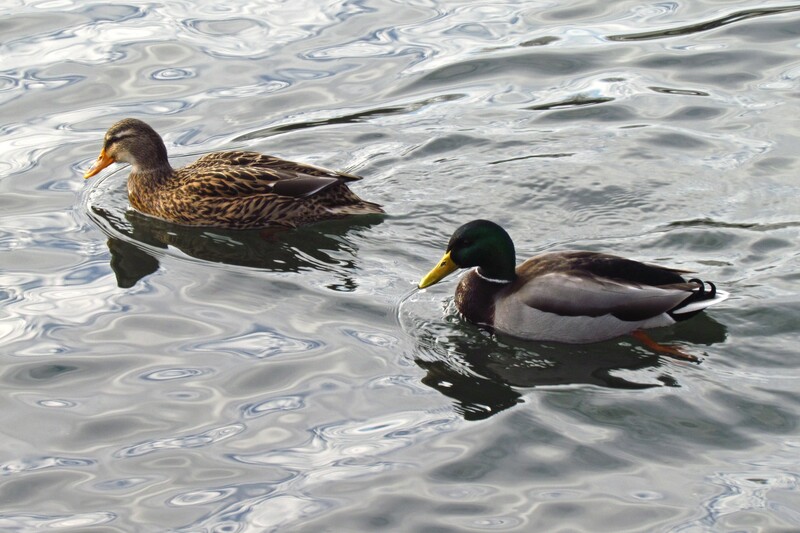 There are always some pairs of Mallards around, swimming alongside each other like old couples. 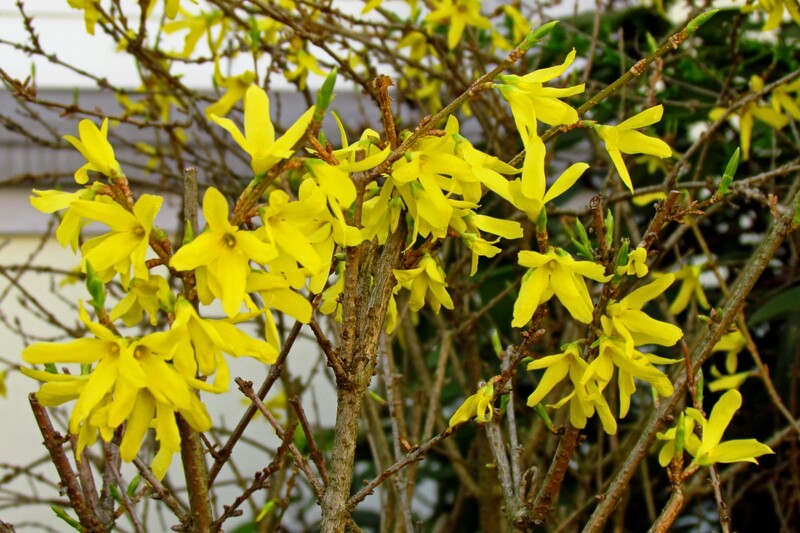 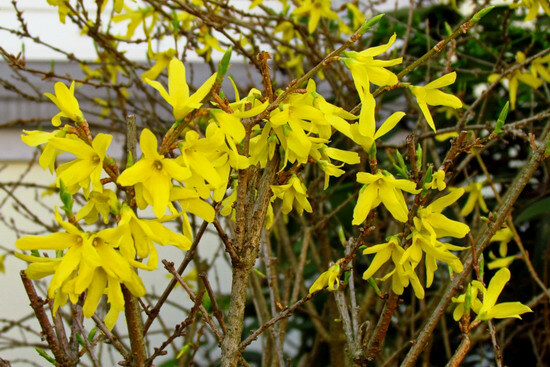 The Forsythias are popping up everywhere! 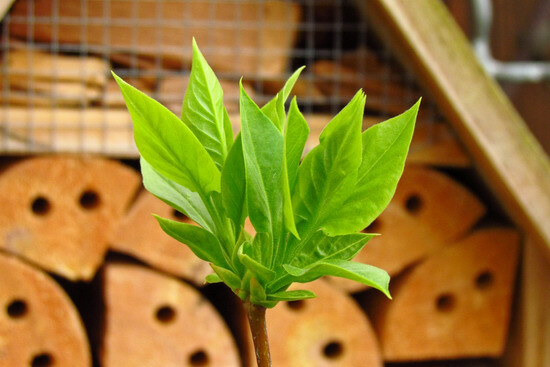 My little Lilac-in-a-Pot is getting fresh leaves too!